Win 1 Week Interrailing Trip…. Home | Blog | Win 1 Week Interrailing Trip…. 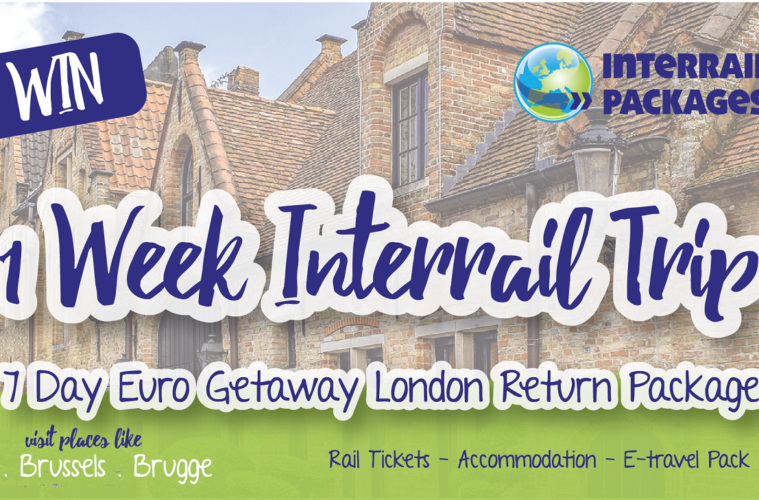 Have the trip of a lifetime in 2019 by winning a seven-day European Getaway, courtesy of travel experts, Interrailing Packages Ltd, in conjunction with Student Pocket Guide. And if you’re the lucky winner, what exactly will you get on your getaway? Well, first you will depart on the famous Eurostar from London’s St Pancras Station to the stunning city of Lille in France – your first destination. This picturesque city not only offers culture and arts but boasts a buzzing nightlife which belies its Olde Worlde charm. Next stop is the medieval city of Brugge, where you can climb the Belfry of Bruges and dine in style at Markt plaza before rounding your week off in beautiful Brussels, with its cafe culture, live music, stunning architecture and history. Not a bad way to get your year off to the right start! Entry is free – to grab a chance at winning, simply like, share and tag a mate on the competition post on our Interrailing Packages’ Facebook page. The competition will run from 15 January until 29 March 2019 – good luck folks!